Loni Aluminum and Contracting did an amazing job on the siding, soffit, fascia and eavestroughs for my house. Belron work closely with me an followed up regularly to make sure everything went as planned. The crew encountered a couple of unexpected surprises during the installation but managed to complete the work within budget. Blaron has done work for us several times over the past 2 years. 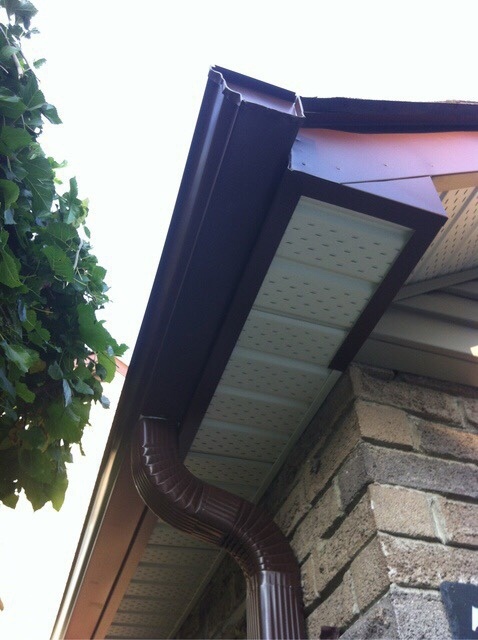 He replaced the aluminum on our entire house including the eaves, soffits, fascia and downspouts. Blaron has also completed some smaller jobs for us including installing vinyl siding on our front porch, and flashing on our newly enclosed front porch. Blaron is reliable, professional and meticulous. His work is amazing, the material they use is of great quality and his pricing is fair. I highly recommend hiring Blaron and his team for any exterior work. You won't be disappointed. 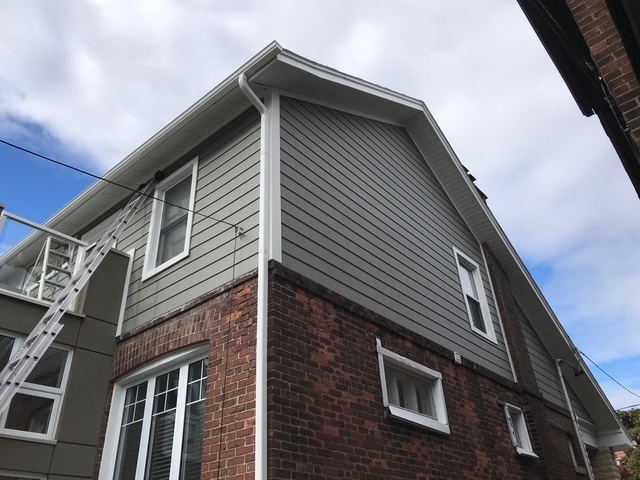 Bleron and his team replaced our old siding with new Celect siding, trim and eavestroughs, and they also installed a new aluminum ceiling on our front porch. They did an incredible job and the house looks beautiful. We love it and are getting lots of compliments from neighbours. Bleron is very professional, he was great with our neighbours during the work, and he has been a pleasure to work with. I highly recommend Loni Aluminum to anyone considering having siding work done. Loved their attention to detail! Couldnt be more pleased and satisfied! I recommend to anyone looking to replace their siding to go with Loni Aluminium! My contractor (THS Contracting Inc.) hired Loni Aluminum & Contracting to complete siding work for my client and they did an exceptional job. They were on time, organized, clean, professional and extremely pleasant. They worked very efficiently and was able to complete the work in one day. I'm an interior designer and have worked with many trades in the industry and I would definitely work with Loni Aluminum & Contracting again in the near future. We contracted Loni Aluminum to do a full removal of our existing stucco and stone façade for the entire house. 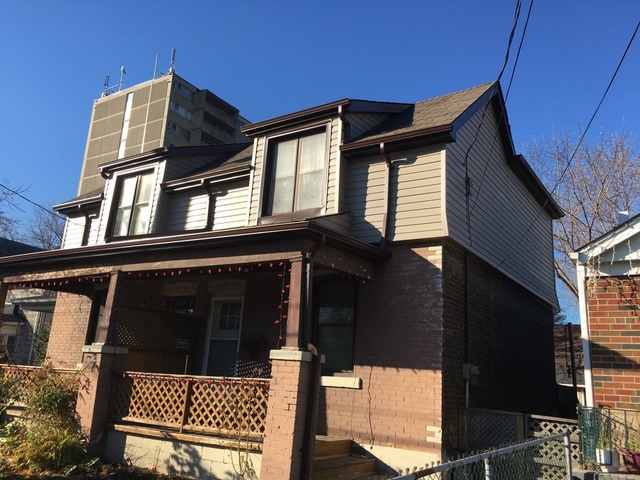 The existing exterior was in bad shape and needed to be completely removed. The plywood board behind the stucco and stone was also compromised by water damage and certain sections had to be completely removed. The foundation by the ground seams had holes that need to be filled and certain section of the porch roof had structural issues. 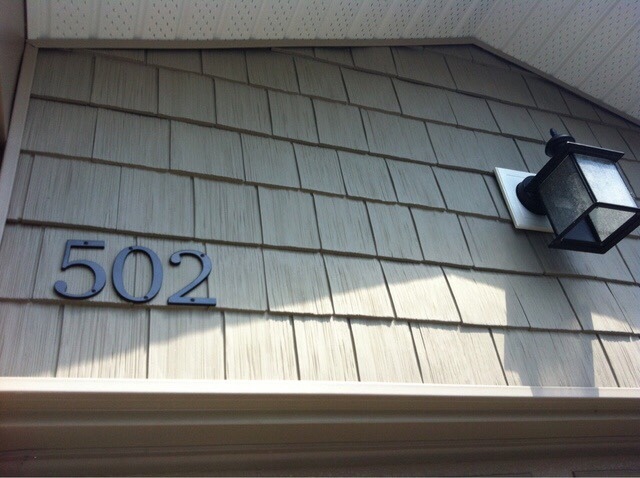 Bleron and his team removed the existing exterior and addressed all the issues. I really like the fact the he walked me thru the problems and gave me resolution options. I chose what was best from a structural perspective and taking into account longevity. They also installed new doors and moulding for the supporting pillars on the balconies. Bleron and his team did an amazing job!!! They are very professional and respectful of your property. They also did a great job of managing the waste and being mindful of not creating issues with the neighbours. Furthermore the quality of work is outstanding. He didn't cut any corners and gave me options for all the issues that we encountered. It was a huge job and I'm very grateful that we contracted Loni Aluminum. He takes his time and doesn't rush the job as many contractors often do. Bleron takes pride in the quality of work his company delivers which shows in the finish product. I would definitely recommend Loni Aluminum. I would also like to note that we choose the Royal celect siding product for the entire house. It looks amazing especially with the moulding and trim pieces that Bleron installed. I would also definitely recommend this product. 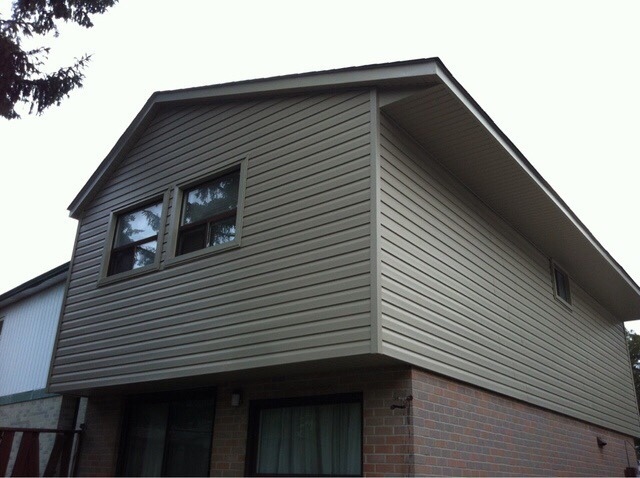 It's is probably the best option if you are looking to install a siding. Scheduling was a bit of a pain but overall a very good experience. They removed the old, replaced with new gutters and downspouts and cleaned up when they were done. That was totally awesome! Bleron was kind enough to give me some tips on the roof too - which was very helpful. The job was done very well and on time. We are very pleased with the work and commend the workers on a job well done. 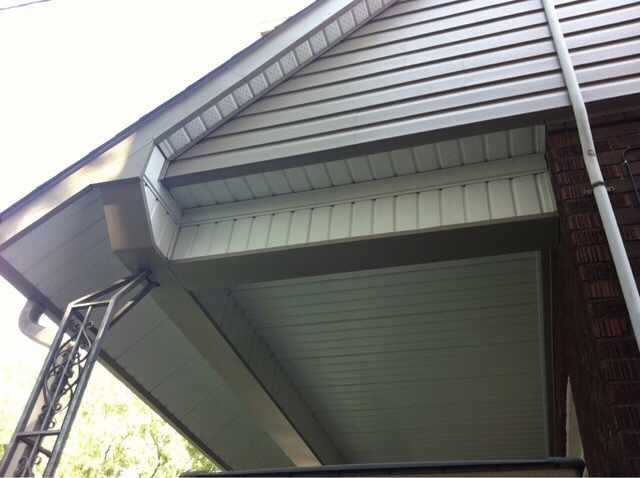 Loni and his team did an excellent job with our new eavestroughs. They completed the job on time and it was a pleasure doing business with them. 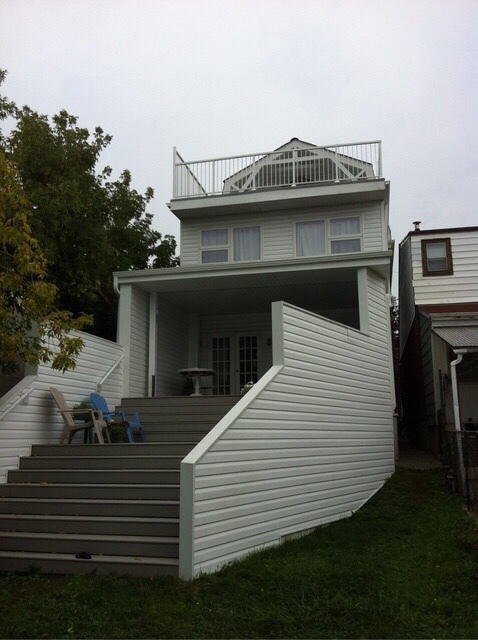 We highly recommend Loni Aluminum and Contracting for any future renovations. 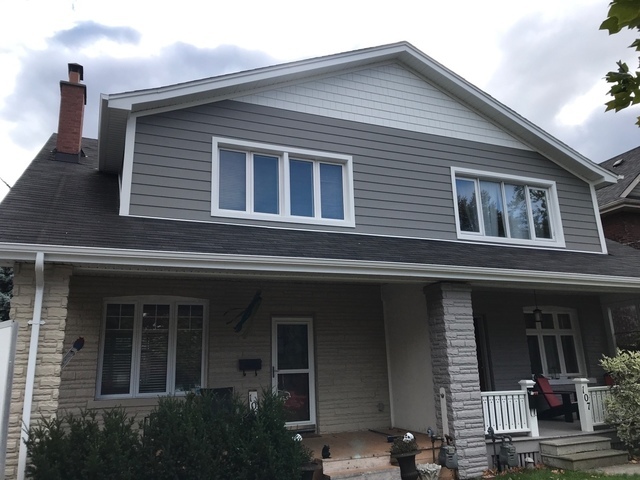 LONI Aluminum & Contracting has established itself as one of Ontario’s leading Siding, Soffit & Fascia, Windows and Doors installation and replacement companies. We provide innovative home improvement products that exceed industry standards for quality, reliability and performance. We use highly specialized installation techniques to ensure a lifetime of satisfaction from our customers. We always strive to go beyond our customer’s requirements for beautiful, strong and thermally efficient products. We carry a $2,000,000 Liability insurance to make sure safety is our top priority. All of our workers are covered by WSIB workers compensation. If we get hurt on your property, you’re not liable in any way. Copies supplied upon request. When you call LONI Aluminum & Contracting, you will be greeted with a courteous, knowledgeable staff member who will be happy to assist you in any capacity. If an appointment is set we will email you a confirmation with the time and date. One of our very experienced representatives will arrive ON TIME and give you a no pressure demonstration specific to the product your interested in. They’ll then leave you with a price which is good for 30 days. LONI Aluminum & Contracting covers the entire Greater Toronto area and some parts of Northern and Southern Ontario. If you decide to move forward with us, we’ll write a detailed agreement including all the specifications we discussed. Most projects are completed within 3 to 4 weeks of the agreement. We won’t accept final payment until you are 100% satisfied. Siding, Soffit & Fascia, Eavestroughs, Windows & Doors, Garage Doors. 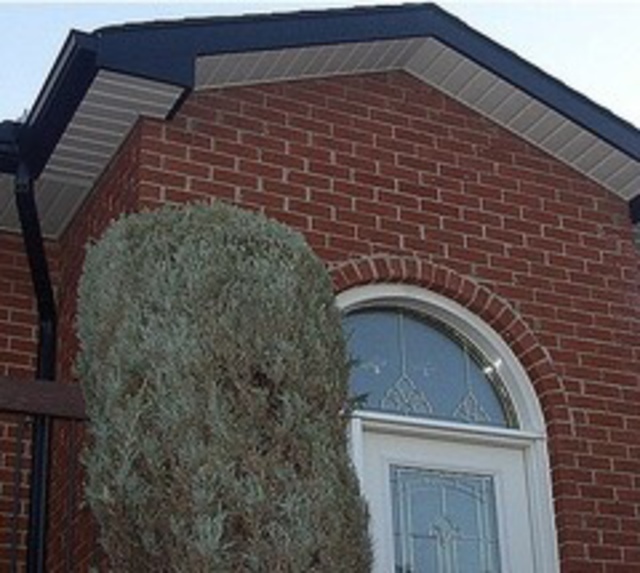 Siding, Soffit & Fascia, Eavestroughs, Windows & Doors, Garage Doors Instalations. Gentek, Kaycan, Mitten, Royal Products, CertainTeed, Masonite, NovaTech, Novik, Trimlite, IKO, Mid America.